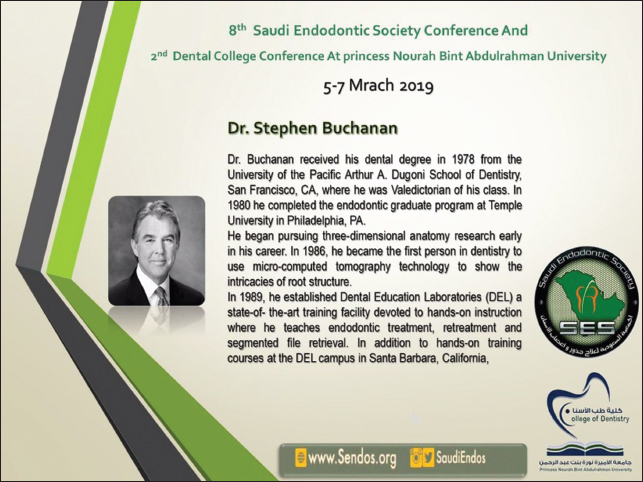 In the light of the day to day development and advancement in the science and technical procedures often encountered in endodontics therapy, it is not surprising to have unresolved issues related to field of endodontics. 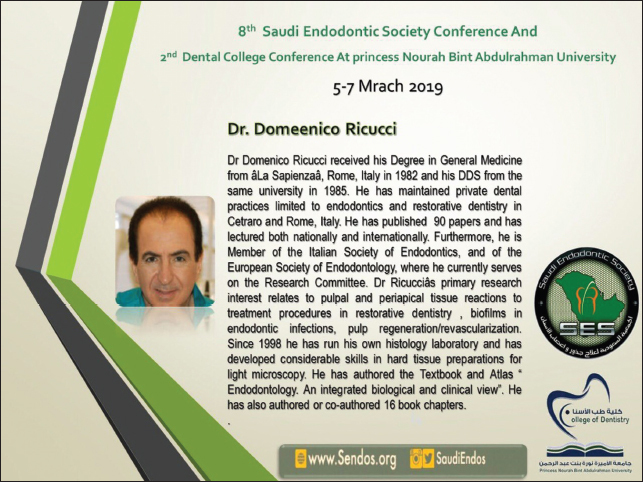 This conference will discuss several controversial technological advances and biological issues relevant to endodontics. 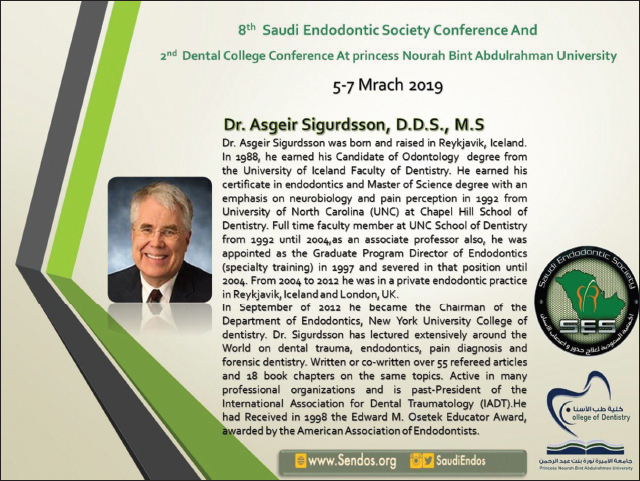 Attendees at Saudi endodontic society and Princess Norah dental college meeting, 2019 will have ample opportunities to discuss all of the scientific and technical breakthroughs that are changing the landscape of dentistry and fulfill their continuing education and professional development requirements. To achieve our common goal of fostering synergy between dental science & technology in the region, a distinguished lineup of regional and international experts will come together in Riyadh, Saudi Arabia to lead a dynamic scientific program of scientific oral presentation sessions, poster presentation and hands-on workshops. 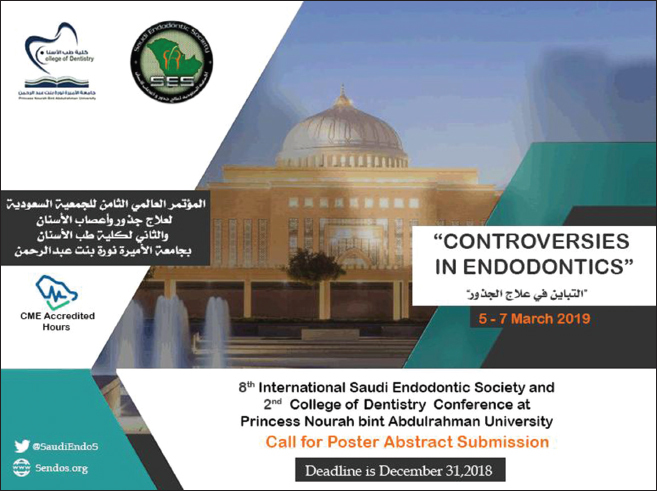 The 8th Saudi Endodontic Society (SES) and Princess Nourah dental college Conference under the theme “CONTRAVERSIES IN ENDODONTICS” aims to bring together pioneer endodontic professionals and researchers to exchange and share their experience and research results on all aspects of endodontic specialty. The forum will also provide a platform for practitioners and educators to present and discuss the most recent innovations, trends and concerns as well as treatment challenges encountered and solutions adopted in the field. 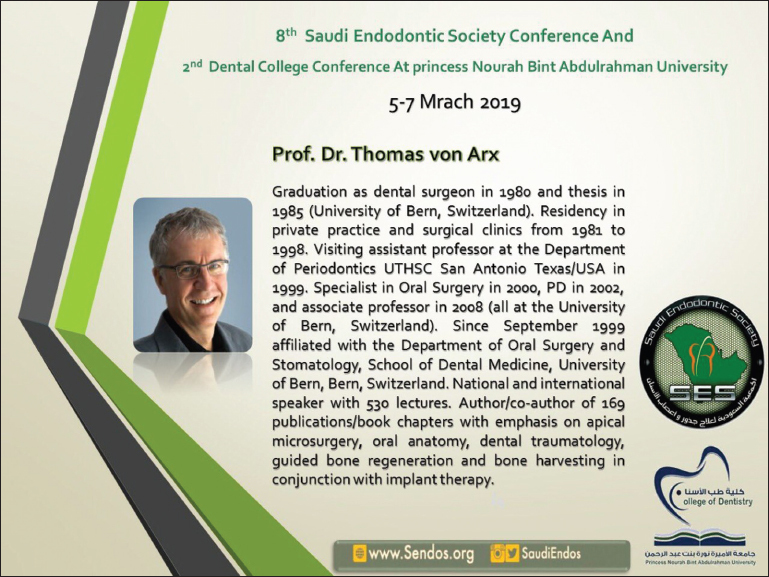 We look forward to seeing all of you at this special joint event here in Riyadh.